Like a fish to water, she was born to wear these sandals! 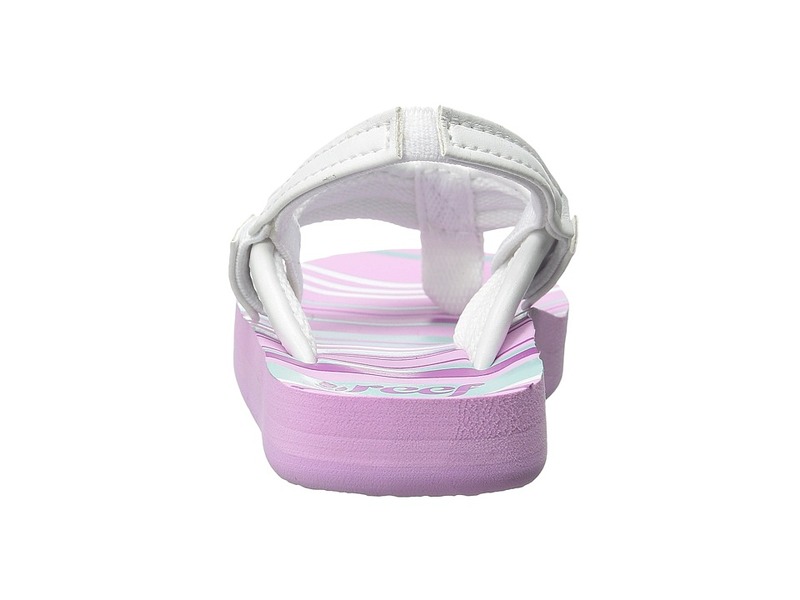 ; Synthetic strap features a soft polyester liner for added comfort. 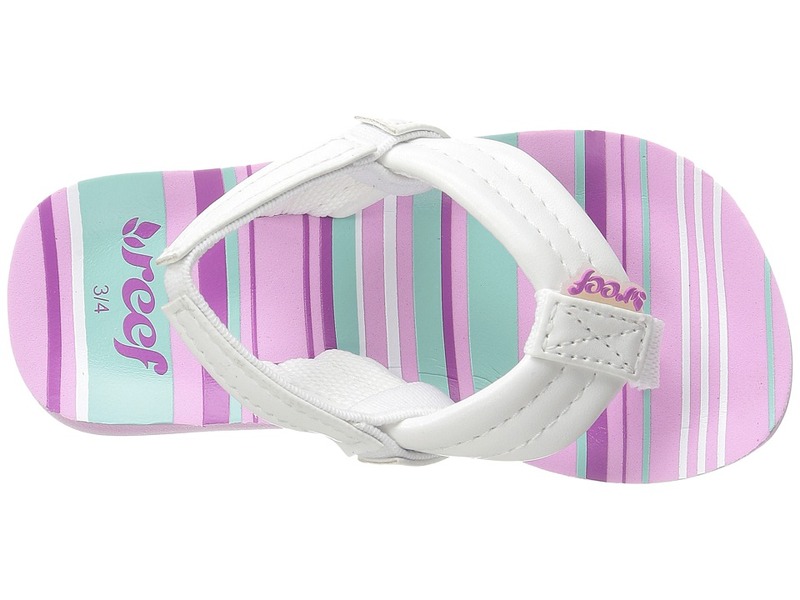 ; Printed EVA footbed is contoured to better fit your kiddo’s foot. ; High-density EVA outsole for durability. 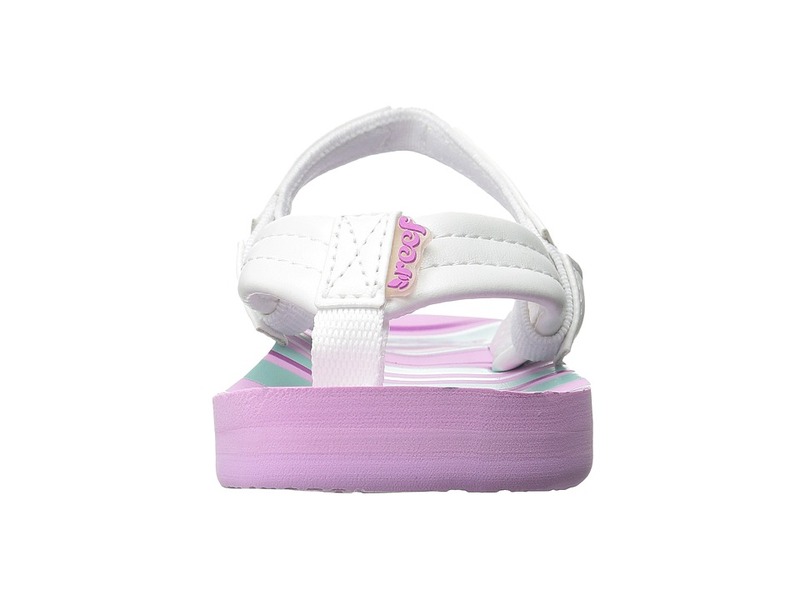 ; Sizes 3/4 Infant – 9/10 Toddler ONLY have an elastic backstrap which can be permanently removed. ; Imported. Measurements: ; Heel Height: 3 4 in ; Weight: 2.2 oz ; Product measurements were taken using size 3-4 Infant/Toddler, width M. Please note that measurements may vary by size. Be the first to review “Reef Kids Little Ahi Toddler Little Kid Big Kid Girls Shoes” Click here to cancel reply.